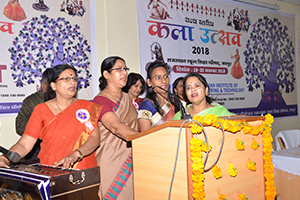 The Rajasthan Institute of Engineering & Technology hosted the KALA UTSAV 2018 on 19th and 20th November 2018, in the college campus. Schools from all over the state participated in this mega event. Shri Naresh Pal Gangwar, chief secretary school education, graced the occasion and inaugurated the event. 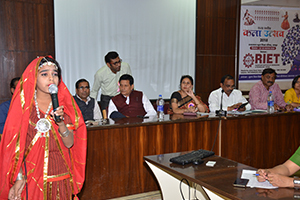 The other dignitaries who were present on the occasion were Shri Rajesh Sharma, Director, school education Jaipur, Smt Priya Balram, Shri Suresh Chandra, Senior Director SAMSA, and Shri Ramnivas Jat, Director SAMSA. 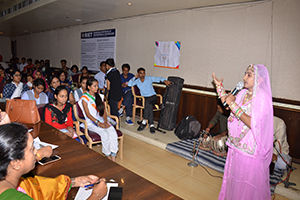 The students from all over Rajasthan put forth their performances in Dance, Music, Painting and various other activities. The 2 day function will showcase talents of the students in various stage performances. The students who will excel in these activities will be awarded with cash prizes at the end of the function. The day long function and various activities kept all the participants very busy and active. And the first day function ended in great enthusiasm and students looked forward to the next day activities. 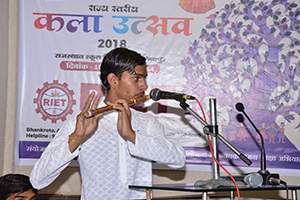 Kala Utsav is an initiative of the Ministry of Human Resource Development (MHRD) under Rashtriya Madhyamik Shiksha Abhiyan, to promote arts in education by nurturing and showcasing the artistic talent of school students at the secondary stage in the country. 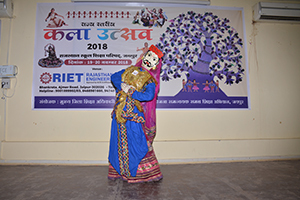 Rashtriya Madhyamik Shiksha Abhiyan (RMSA) recognises the importance of aesthetics and artistic experiences for secondary-level students, which play a major role in creating awareness of India’s rich cultural heritage and its vibrant diversity. In the context of education of Arts (Music, Theatre, Dance, Visual Arts and Crafts. 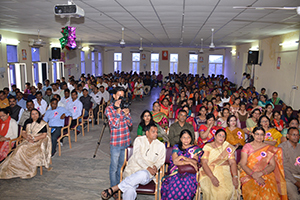 On 20th November 2018 for the valedictory function again there was a day long function in which students participated in various categories. The solo dance performances were performed by students of various schools. Various students sang beautiful songs also. On this day the prize distribution ceremony took place in the end. The day ended with the patriotic national anthem.